Stephen Creyke was born near Plymouth, Devon in 1796. He went to Corpus Christi College Oxford in Oct 1812 where he obtained a BA and MA. He married Sarah Hotham on 6th Sept 1823 and together they went on to have 6 children. 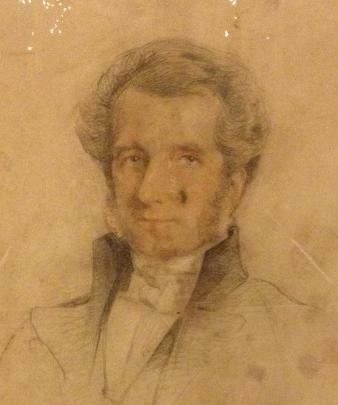 Between 1827 and 1838 Creyke was Headmaster of St Peters School in York. A survey of the School in taken around 1819/1820 showed the School only to have twenty pupils and declining, having fallen on hard times. So to counteract this, in 1827, the powers that be appointed a young youthful Oxford graduate, Stephen Creyke, as the new Head Master in a bid to save the school. By the time he departed in 1838 the number of pupils had rocketed to over 100. Creyke became Archdeacon of York in 1845 and then in 1866 he became Rector at All Saints’ Bolton Percy living next door at The Rectory with his wife, family and the many servants that worked for him. Consecrated in 1424, All Saints’ was considered a significant Church in the Diocese of York until perhaps more recent and modern times. In the late 19th Century for the resident priest it was very highly paid too. During Creyke’s time it was recorded as having an annual net income living of £1240 and it has been written that Creyke turned down a promotion within the Church of England to remain at All Saints’. Stephen Creyke was very much something of a 'society' vicar, seldom seen or heard in the pulpit but often seen mingling and socialising with the local dignitaries of the day. Not surprising perhaps that he needed at least two Curates to assist him with church duties. Two notable curates at All Saints’ both appointed by Creyke were Rev Francis W Jackson in 1879 and Rev Henry Hunnings in 1874. In his 1899 book ‘Memories of a Half Century’ the Vicar of nearby Wighill Rev Richard William Hiley described Archdeacon Creyke as “a man of tall, commanding presence, in fact a very handsome man, and evidently accustomed to “society". The moment Bolton Percy, the best living in the diocese was vacant, he is credited with having importuned for that preferment. He had the reputation of being a haughty man towards the “inferior clergy" and such I found that to be the case. It was my lot to call upon him as my Archdeacon, on business, when he bowed stiffly to me saying: “I have not the pleasure of knowing you, sir," with a pursing of the lip that was peculiar to him when acting the “Grand Seigneur”. My reply was: “Is it my fault, sir, if my Archdeacon does not know me?” and I was careful thereafter that that knowledge should never be increased”. But regardless of his personality or popularity Stephen Creyke’s impact and legacy on All Saints' is significant. In 1866 he had the East Window restored, he installed 6 new stained glass windows made by Messrs Warrington of London. The Chancel stalls, which were also the gift of Stephen Creyke, replaced the original 15th century oak benches and were made by a parishioner, Mr Richardson of Appleton Roebuck in 1965 from designs supplied by Messrs Atkinson, Architects of York. There is a memorial plaque in his name situated in the North Choir Aisle at York Minster and his portrait hangs on the North Wall at All Saints’ Bolton Percy. 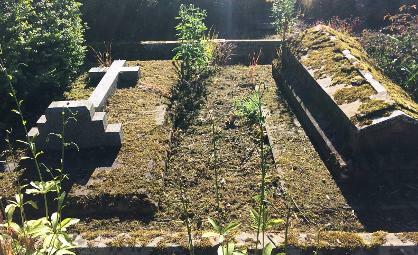 He died in December 1883 and is buried alongside his wife Sarah in the Bolton Percy Cemetery Garden (see pic below). A short video about Stephen Creyke and his legacy to All Saints' Bolton Percy can be found here.